In anticipation of the frigid temperatures and snowfall, there are some must-have items dog owners should buy to ensure their pets are prepared for winter in Chicago! For those new to Chicago, one of the most surprising aspects of the city is the extreme temperature change from summer to winter. With summer in Chicago featuring scorching temperatures, it can be jolting to find that winters in Chicago are so severe. In anticipation of the frigid temperatures and snowfall, there are some must-have items dog owners should buy to ensure their pets are prepared for winter in Chicago. Simple items like reflective dog collars and vests do a lot to help protect your dog during the winter months in Chicago. With the days being shorter, the limited daylight leads to the necessity of increasing visibility for your dog in winter. The reflective gear will help your dog stand out and be seen, whether frolicking in the snow or going on a nighttime walk. 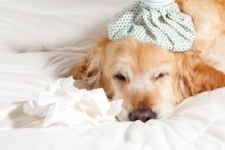 A common misconception about dogs is that their fur is sufficient in keeping them warm during the winter. While this may be true for other parts of the world, Chicago winters warrant the purchase of some winter apparel. 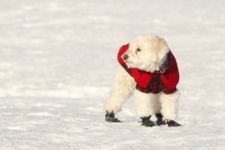 Investing in a doggie sweater, jacket, or coat is crucial for dogs that spend any time outdoors in winter. While owners with small dogs may deem it necessary to purchase dog booties, it’s important to note that even larger dogs need a paw protectant during winter in Chicago. The salt commonly used on walkways can be harmful to pads, irritate the area between their toes, and be toxic if ingested. 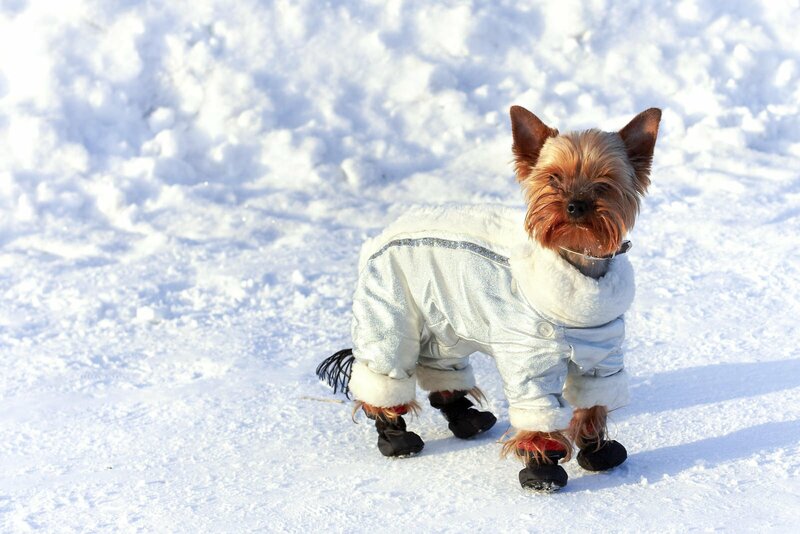 Purchasing dog booties is the best way to prevent safety hazards that affect your pet during winter. Because of the extreme difference in temperature from coming in-and-out from the cold, the scalp can become dry and itchy. To relieve your dog’s discomfort, there are a number of medicated or all-natural products that can remedy their dry scalp. 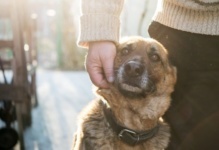 From skin and coat supplements to specially formulated shampoo and conditioner, it’s important to restore essential in your dog’s coat to make sure he or she is as healthy as can be! There are a few indoor products that can be a huge help in keeping your dog toasty and warm during the winter. 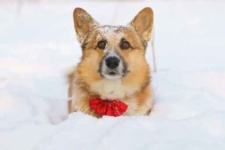 Because of the common ice balls that can dangle from your pet’s fur during an outdoor excursion, owners should keep plenty of towels on-hand for coming in from the snow. Purchasing a few extra towels designated for drying off your dog can be the first step in ensuring a happy and healthy pet. For a bit of added luxury, heated dog beds can make snuggles that much more enjoyable for your pup in the winter—just make sure to watch them in case they overheat! 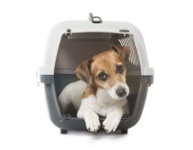 Coming in all types and price ranges, a simple self-warming dog crate pad can be purchased for as low as $10. 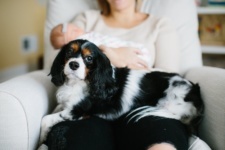 When considering all the expenses involved in owning a dog, it’s important to take into consideration all the items needed due to environmental factors. For dog owners in the city, purchasing a few essential dog items can be a great way to prepare for another Chicago winter.